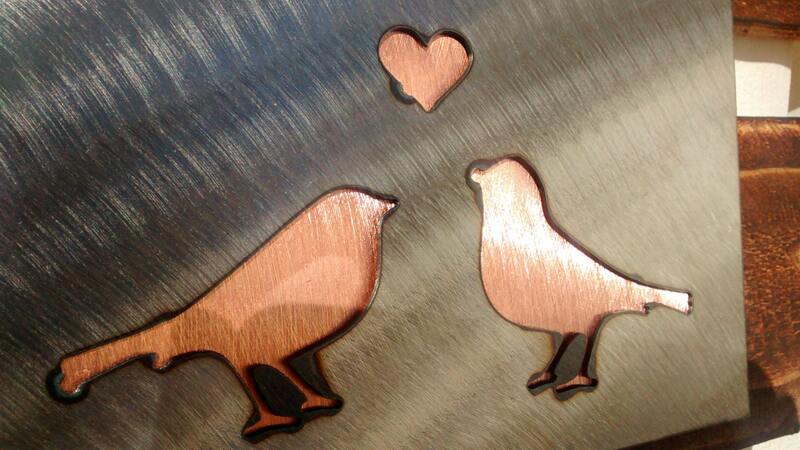 We just had to incorporate birds into our Valentine's Day collection--love birds, of course! 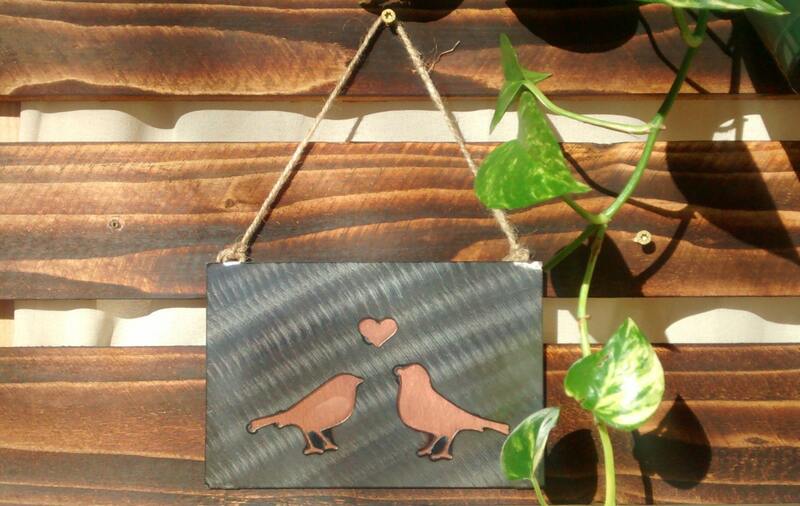 We originally considered selling these wall-hangings as "metal gift cards", the perfect way to show a loved one how much you care on Valentine's Day--or any other day for that matter. 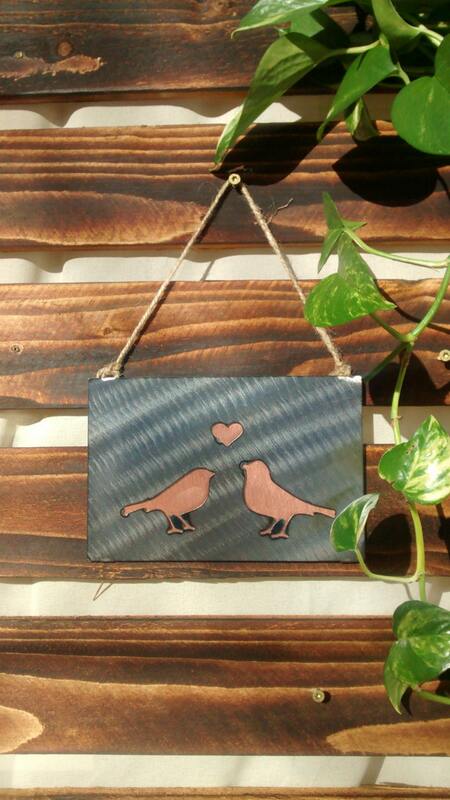 However, you can use them for just about anything: to dress up a mantle, hang them over a bed, across a door, over a window, or even as party decorations (wedding season is fast approaching! ).